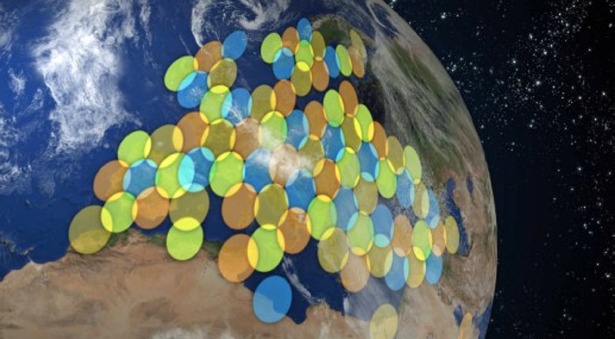 How beam hopping enables the flexibility that is missing in the current generation of satellites and how this technology provides additional revenue opportunities for the next-generation of Ultra High Throughput Satellites (UHTS), that’s the focus of this article. High Throughput Satellites (HTS) have been a revolutionary satellite technology breakthrough that has occurred over recent years. 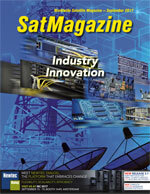 HTS provided an excellent solution for data unicast/multicast oriented satellite networks. HTS increases the total capacity of the satellite by generating multiple small beams and re-using the available satellite spectrum multiple times. To overcome the interference between adjacent beams, the spectrum is divided to “colors,” which are separated by frequency allocation and polarization. The growth of mobility applications — mostly inflight connectivity and maritime applications, where these applications require large capacity and beam changing, according to the trajectory of the user. HTS architectures struggle to provide high capacity to loaded beams while maintaining coverage to large areas in a cost-efficient manner. Low fill factors — an industry that was used to satellites with 70 percent fill factors, or higher, often sees much lower utilization in HTS architectures. Capacity is often not in the right place at the right time. Typically, HTS beams are created equal, while demand on the ground varies according to customer distribution. As a result, many of the beams experience over-capacity, while in others there are unmet capacity requirements and there is no way to institute load balancing. In other cases, demand changes throughout the day and the capacity is fixed. Revenues are lost in saturated beams. Increasing competition from terrestrial broadband — as terrestrial broadband — and especially cellular — continues to expand, the satellite industry faces intense competition. This drives satellite operators to lower capacity pricing as well as incorporating lower cost user terminals. To reduce the cost of the capacity, beam size must be reduced. This results in increasing spectrum re-use as well as increasing the effective power of the signal, which has the additional benefit of also reducing satellite terminal cost due to a decrease in the size of the antenna and RF, which are the cost bottlenecks. Increased satellite cost while CAPEX investments are stagnant or even declining — while HTS architectures provide more capacity than legacy wide-beam satellites, this comes at an increase of cost. This means that there will be fewer satellites launched and each satellite will be more expensive. At the same time, satellite operators are facing challenging times from their existing business, such as video end enterprise data. All of these conditions drive many satellite operators to reduce their CAPEX investments. 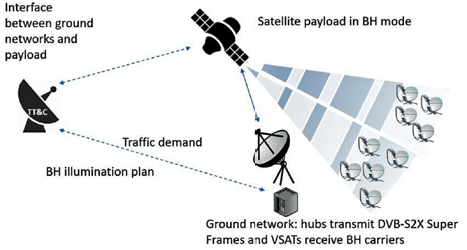 A direct outcome is that satellite operators face more uncertainty and risk with decisions regarding HTS — payload design, number of beams, beam planning, coverage areas, and so forth. These are exciting times, as the satellite industry is on the verge of introducing a newer generation of UHTS or Terabit satellites. In this new generation of satellites, designed to increase capacity, the coverage will be divided into many more smaller beams. In this manner, each beam will have a higher gain and will enable more capacity at even lower prices. An additional outcome will be that smaller antennas and RF at the terminals or higher bits/Hz ratio will be enabled through the use of higher MODCODs. However, dividing the coverage to smaller beams increases the probability of having under-utilized beams. To make Terabit satellites a reality, operators are adding flexibility to overcome the increased uncertainties they face, the most significant being flexibility as to where to allocate the capacity in time and location. This is where beam hopping plays a critical technology role. The ability to allocate capacity momentarily according to demand and therefore have a flexible capacity mapping is achieved by changing the traditional forward link transmission from continuous to time-based burst. The traditional color separation (frequency/polarization) is replaced by time division multiplexing over a single frequency carrier. Customer data needs can now be measured constantly and capacity can be allocated to different beams, according to demand. The flexibility is achieved by changing the distribution of capacity in different beams on a time basis using a beam illumination plan that is communicated from the gateway to the satellite and can constantly change (See Figure 2). The technology foundation for beam hopping has been incorporated into the new DVB-S2X standard, Annex E, which introduces the concept of Super Frames. The ability to receive a forward link carrier in a burst manner is assured by a higher layer of synchronization, which is based on a fixed length Super Frame. There are multiple types of Super Frames defined in the standard, with Super Frame type 4 being the most flexible (See Figure 3). The Super Frame can hold multiple DVB S2/S2X Baseband frames and allows a guard for the satellite switching between beams. 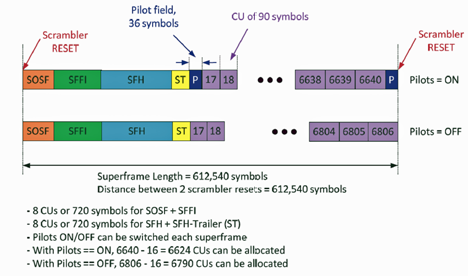 The use of SF goes hand-in-hand with an increase in the symbol rate per beam, up-to 500 Msps so that minimal delay is introduced by using a TDM scheme (each Super Frame is ~1 msec long). • Flexible capacity allocation that meets future demands — no need to design the satellite with uncertainty of data patterns. Capacity can be provided wherever and whenever required. The example below demonstrates the ability to change the capacity allocation over multiple time zones as peak hour changes across the U.S. and capacity needs to transfer from the east to the west coast. Revenues can increase by more than 50 percent just from this flexibility. • Interoperability between equipment vendors — multiple satellite systems from different vendors who follow the DVB-S2X standard can be operated on a single beam. • Support wider geographical coverage and mobile traffic — beams can be allocated along critical aviation and maritime routes and be activated only when there is a need. The utilization factor can be easily doubled by introducing beam hopping concept for these applications. This is an illustration of peak hour shift in time. Residential Peak hour is 8PM. Peak hour spreads over 3 hours according to the relevant time zone in the U.S. Traffic needs to be allocated accordingly. • Better performance with less interference (IBI) — separation between adjacent beams is now done on a time basis. No two adjacent beams will have transmission simultaneously, thus — no interference even when adjacent beams use the same frequency. • Better bit/Hz — stronger signals enable the use of higher modulation schemes. • High Spectrum utilization — the complete satellite spectrum can be reused, namely reuse factor=1. As there is no adjacent beam interference all the band can be used in any beam. This fact leads to more efficient use of the satellite power amplifiers, as well as offers advantages in statistical multiplexing. This is an illustration of flight traffic allocation as the plane is moving through different regions during a cross Atlantic flight. There is a concentration of traffic due to typical flight itineraries from both sides of the ocean. SatixFy is a provider of advanced satellite technology in the fields of modems, smart antennas and payloads, with a vision to make satellite communication affordable and widely spread. SatixFy’s SX-3000 is the first industry available ASIC supporting DVB-S2X with Annex E Super Frame transmission and reception. VSATs based on SX-3000 Software Defined Radio ASIC can receive 500 Msps beam hopping transmission (burst reception) and enable deploying terminals that will be future proof to the next generation of satellites. SatixFy also introduced a beam hopping testbed enabling satellite builders and operators study the effects of beam hopping networks prior to launching their satellites.